I’m really excited to partner with Chase, which is helping to make the homebuying experience easier during this busy homebuying season. Upgrading your home can make it far more comfortable to live in, and can often improve your home's value over time as well. While upgrades are exciting, they can also be expensive! More and more Americans are looking to remodel, as they’re more optimistic about the value of their homes. In fact,Chase just released a survey that found 66% of home owners believed that their home would increase in value in the next 5 years (which is interesting considering how high home prices are currently, particularly in Miami, Denver and Orlando). Many of those homeowners (38%) have used or are considering using a home equity line of credit (HELOC) in the next 5 years, the majority of those (58%) plan to use it for home improvements. You can see more information from that survey here. We pay for our home remodeling projects with cash. We set aside money every month to do home improvements, whether that be new bedding or a kitchen overhaul. It saves us on credit card interest and keeps us under budget. You can use a HELOC or set aside cash to pay for your remodel, but either way you can save money if you're willing to do a little pre-planning. Typically, you can save about 50% on most home projects by eliminating the professionals and doing it yourself. There are 3 steps you need to take in order to save on upgrades. Decide if you have the time to DIY. There's a trade off here. You need to have time available to do the projects and a basic level of skill. Places like Home Depot and Lowes will often have free classes on basic DIY skills like tiling and painting. You can often rent equipment from them as well. Decide if you have the skill to DIY. As a general rule, anything related to electricity, knocking down walls (because of the risk that it’s load bearing or has electric/plumbing behind it), plumbing, gas lines (or gas appliances) and removal of anything that's toxic (like mold, asbestos, lead paint) should only be done by a professional. While those are usually automatically off-limits, there are many other projects that just aren’t a good fit for DIY, either due to safety, inconvenience or skill. But the savings of DIY are pretty substantial and shouldn’t be taken lightly without at least considering how you could do it yourself. You need to do your research to figure out what your project involves and any potential safety hazards. Start your search on Google, but we’ve also found that a quick shout out on Facebook will almost always get a response from a friend who actually is professional and can give you some quick guidance. Then you need to determine the potential savings. Two projects that we’ve recently priced out are painting and replacing windows. We found that if you hire a pro to paint (using a 2,500 square foot house), you can expect to spend about $4,000, but only $2,100 if you paint it yourself. Even the costs of replacing drafty windows are cut in half from $550/window to $250/window. 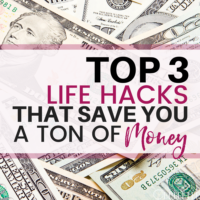 But if you get into larger projects, like kitchen and bathroom remodeling, you can be talking about saving $10,000 or more by doing it yourself! There are some other things to consider though. 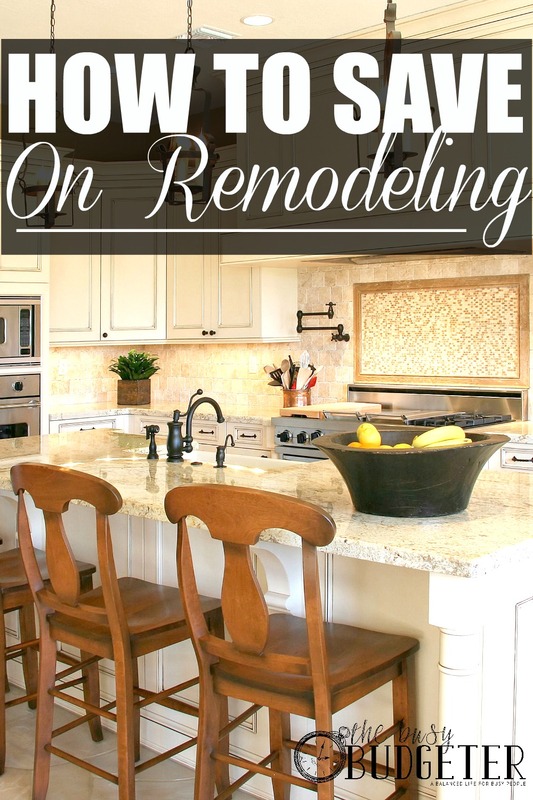 With a kitchen remodel, you won't have access to the kitchen while it’s being remodeled. That could last for weeks or months depending on your skill level and how much time you have to work (this isn’t a project for a weekend warrior). That would kill my grocery budget and drive me nuts! But $10,000 is a lot of money to walk away from. It may be worth it to take a class to get some basic skills you need and take a week off of work. Don’t hesitate to think outside the box. See if a contractor will do the actual labor for you, but you supply parts if you can get them at a discount. 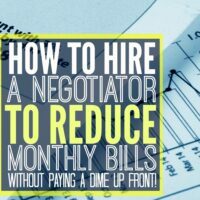 You can typically save about 20% by doing that or hiring a friend with the skills you need to help you with the labor. This will usually run more than DIY, but less than hiring a professional for the entire project. Just a little bit of preplanning and research can save you several thousand dollars when it comes to remodeling. What would you love to change about your house? For homebuying tools and tips, and to learn more about the Chase survey results, visit chase.com/homebuyers. We hired a contractor recently for a HUGE job (totally gutting a 2,000+ square foot house with new plumbing, electrical, moving walls, etc.). We were able to save a good chunk of money by supplying all the fixtures, painting ourselves, and doing the demolition work. This project of ours is still a work in progress, but it definitely has been worth it for us so far to split the work and supply many things ourselves, which we’ve shopped around for and purchased discounted. For me, DIY seems overwhelming and more time consuming than it actually is. I find that if I make a list of things I’ll need and take action right away, I’m more likely to do it than if I say “oh, maybe I’ll do that next month”. I just decided this morning to put my stools up on craigslist. I’m going to use the money from those to get ones that match better. I can’t wait! Thanks for sharing this. I’m glad to see that you mentioned several types of work that can be rather dangerous for DIY-ers to tackle. It’s much better to reach out to a professional company for those tasks, as they have the proper training and equipment to get the job done safely. These tips are so great! Remodeling/upgrading your home really does make all the difference in its value and certainly makes for a better, more refined living space. Nicely done! Thanks for sharing! If you have a good builder, you’ll be kept regularly updated and informed of any decisions that have to be made. This is your renovation, so be sure to call your builder if you have questions or if you aren’t sure about something. Having that conversation early really limits any miscommunication or failure to meet your expectations down the track. You have mentioned informative and really useful points.It is true that if you are not expertise in something then it is better to maintain distance from such stuff.Like in my home whenever there is an issue regarding plumbing ,taps ,etc my dad used too be act like plumber and try to fix all the repairs .But it remains the same.Thanks for the information buddy,I can tag this post to my dad. I definitely agree – electrical work, plumbing, knocking down walls, etc. should be left to professionals to ensure safety. Painting is a great activity to invite friends and family to help if they are available, perhaps supply some pizza and drinks and it is a great way to save money. Great tips, thanks for sharing! Quiet informative post buddy. Even I think that the electrical, plumbing, heating system, air conditioning systems etc should be left for the sake of professionals as they involve a kind of risk while installation or repairing. Hiring a professional plumber just makes sense. Next time you are faced with your own plumbing problem please rely on the professionals. Thank you for posting such a wonderful post. Yes, you are right we always should hire a professional electrician for electricity purposes.Two years ago when I remodeled my house I also hired a professional for my electric work and till date I haven’t encountered any problem regarding electricity. And the best thing about hiring a professional is that you don’t need to take any stress about the work they do your work in the best way they can. I appreciate your post, i totally agree with you remodeling/upgrading home helps to improve the beauty of home and also increase the value of home. Thanks for sharing effective and informative post. 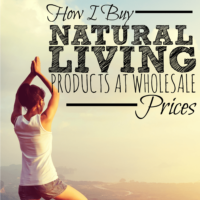 Having said that you are saving money, this article could help you a lot with it. There are tips that may be useful depending on the need that you have. Kudos to the writer and thank you for this article. Don’t forget to visit https://www.placentiarealestate.com/ for those planning to buy a new house, great deals waiting. I’ve never done any inside painting, so I am really excited about this project. Good luck with your dining room. I liked your suggestion to save home upgrades. I’m sure this would be really helpful for me. I’ll be sure to try this tip once my living room gets finished! Awesome tips. I will wait for your bathroom/shower saving tips. Thanks in advanced. Your kitchen is absolutely gorgeous! Remodelling an old bathroom to another one is an incredible thought yet in the meantime its a tedious procedure too. It requires investment to choose every last thing for the bathroom according to a decision and according to the budget. While the ongoing remodelling process, you can make use of the versatile toilets which are clean and according to your usual range of familiarity. thanks so much for posting this article.interesting topic and there’s been a lot of manipulation about it. I appreciate your post, i totally agree with you remodeling/upgrading home helps to improve the beauty of home and also increase the value of home. Also your tips are really helpful and really useful. Thanks for this! your tips are so great, thank you for sharing this article. Your blogs very nice and helpful for everyone. Thanks for a real information provided on your site. I find it interesting that you recommend buying home upgrade parts in order to get 20% savings during the process. Since you mentioned hiring a person to help with the labor, what tips can you recommend if I were to have my heating system upgraded? Should I ask my neighbors on which HVAC service to hire to get the unit running at full efficiency? NIce tips. Thanks! 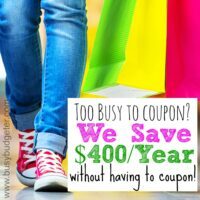 Are you going to post more about saving money on rebuilding and renewing?